In another race, a cleric linked to the Taliban was defeated. The influential religious leader, Maulana Samiul Haq, was a mentor to several prominent Taliban leaders at his seminary in northwestern Pakistan. Mr. Haq had the support of Pakistan Tehreek-e-Insaf, which is led by the opposition politician Imran Khan. But Mr. Haq fell short of getting the required votes to become a senator. Ms. Kumari’s victory was a rare bit of good news for the country’s Hindu minority. Pakistan has a dismal record over the treatment of vulnerable religious minorities. Most live in fear of their lives and property amid an increase in religious intolerance in recent years, along with violence and deadly assaults. Hindus, who make up 4 percent of the country’s population of approximately 200 million people, mostly live in southern Sindh Province. In recent years, they have increasingly complained of forced conversions to Islam carried out by hard-line Islamists. The election of Ms. Kumari to the Senate is remarkable in this context, and the Pakistan Peoples Party has presented it as an example of the party’s liberal credentials and the importance it gives to religious minorities. Hindus have previously been elected to Parliament, both in the lower and upper houses. Two male Hindus from the Dalit caste have served in the Senate, both members of the Pakistan Peoples Party. But Ms. Kumari is the first Hindu Dalit woman to be elected. Ms. Kumari — a native of the Tharparkar district in Sindh Province, a traditional Pakistan Peoples Party stronghold — comes from a family of peasants, and as a Dalit is a member of the so-called untouchables caste. As a child, she worked as a bonded laborer, and her family was imprisoned for three years in a local landlord’s private jail. But poverty did not deter her from dreaming of a different kind of life. She married at 16 but continued her studies and went on to complete a master’s degree in sociology from the University of Sindh, Jamshoro. Ms. Kumari has campaigned for women’s rights and against bonded labor. Her family also has a history of activism. Her brother Veerji Kohli, also a human rights activist, was jailed for several years on what the family says were false charges; he was recently released. 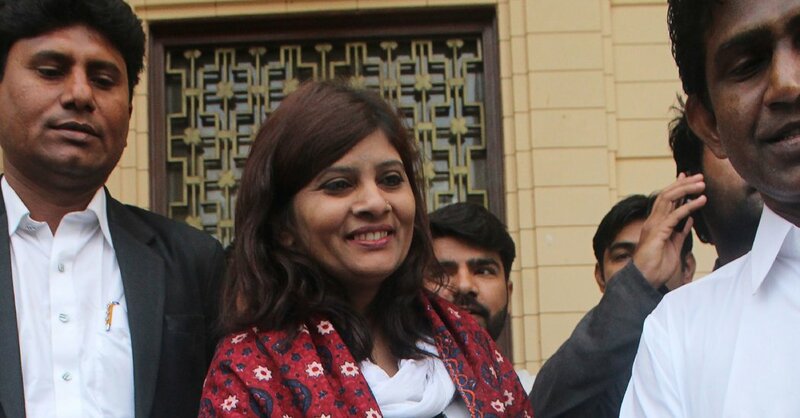 Ms. Kumari, who joined the Pakistan Peoples Party in 2010, said in an interview that her nomination as a candidate for the Senate had come as a surprise both to her and to her community in Sindh. Party officials said her selection as a candidate was an initiative of the party’s chairman, Bilawal Bhutto Zardari, the son of former Prime Minister Benazir Bhutto. Ms. Kumari said her aims as a senator would be to work toward improving the lives of religious minorities and the people of Tharparkar, which has been troubled by drought, unemployment and a lack of development. She said her election had filled her supporters with hope.